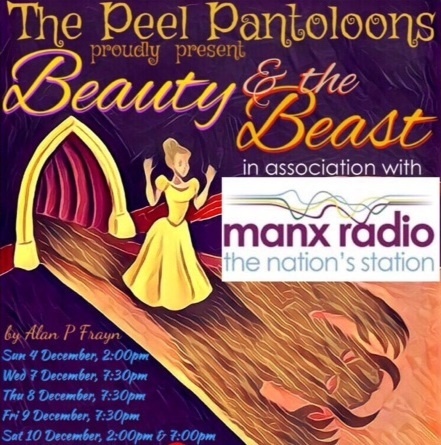 We are proud to be In Association this year with the Peel Pantoloons pantomime for 2016; Beauty and the Beast, and aren’t we excited to see it! Soon to be a major blockbuster, Beauty and the Beast is one of Walt Disney’s classics which has been adored by children for many decades, and will now be brought to the stage by some of our very own local stars. The show will take place at the Centenary Centre, Atholl Street, Peel, from Sunday 4th December until Saturday 10th December. To make sure people of all ages can attend the panto, there are a variety of shows available at different times including 2pm, 7.30pm and 7pm depending on the day you wish to attend. Tickets are only £8 for this magical show, and you can pick yours up from a number of places; Peter Norris Music in Douglas, Celtic Gold in Peel, Thompson Travel in Port Erin, Shakti Man in Ramsey or online here. Come and enjoy a tale as old as time - we look forward to seeing you there!